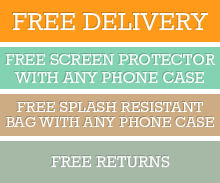 Protection Features: The case protects your phone from damages caused by falls and drops with its shockproof feature. Scratches caused by sharp or rough objects won't leave a mark on your phone as the case is scratch-resistant. The case gives you better grip on your device because of its anti-slip feature so you avoid accidental slips. Material: Made from high-quality Coffee-colored leather, the case can endure the wear-and-tear of everyday use. The buckles on the side are made out of copper and were built to reinforce the edges of the case. Design: The Coffee-colored leather case is both functional and sleek. With its simple design, it can go with any outfit you choose. It can also turn into a wallet with its three card slots and one cash slot so that everything you need is in one case. Its built-in kickstand lets you use your phone hands-free for the best mobile experience. Click the button below to add the iPhone XR 6.1-inch Case Coffee Copper Buckle Nappa Texture Horizontal Flip Leather Cover with Card Slots and Kickstand to your wish list.